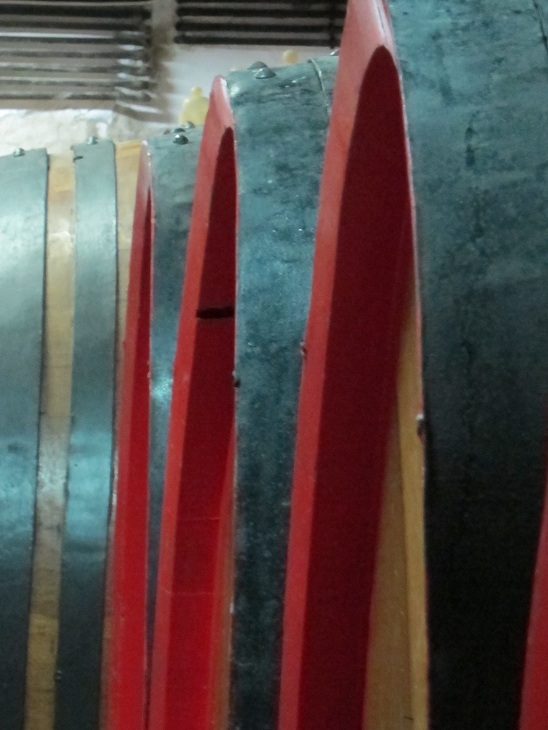 Messina Hof Winery and the Bonarrigo family are where old world meets new world. Paul and Merrill Bonarrigo have been making wine in Texas since the 1970s, but the Bonarrigo winemaking tradition dates back to the 1800s when Paul’s family was making wine in Sicily. That tradition was reborn in the United States when he and Merrill pioneered a viticultural experiment in the 1970s which set the foundation for the Texas wine industry as we see it today. From three wineries in the 70s to 250 today, that determination and excitement has spurred the Lone Star State on to become the 5th largest wine producer in the United States. In anticipation of the Bonarrigo’s upcoming presentation at the International Wine Tourism Conference in Italy, we talked with Paul about going back to Italy, Texan wine tourism and how his family has developed Messina Hof into the most awarded Texas winery in domestic and international competitions. 1. Having been a part of the 2011 conference, what are some of your favorite memories and what are you most looking forward to this year? Last year every winery, restaurant and lodging could not have been nicer. Texas means friendly, I could not have been more surprised how everyone was so friendly. I have been to Europe many times. Wine and Food people know the hospitality industry. 2. Italy is known as a land of great wine, but for you Paul, it’s also the land of your forefathers; what are you looking forward to most in Italy? As an Italian American who grew up in a very ethnic area of the Bronx, there was only one type of wine consumed: Italian and Home Produced. Every time I return to Italy I feel the warmth of the people and the common bond of ethnic customs. Italy has so many wines that are not known in America. There are so many grapes that I am not familiar with. Perugia is an area of Italy I have not been and I am looking forward to visiting the area and meeting the people. 3. You host wine and travel lovers all the time at your hotel and winey; what advice do you have for people travelling and tasting through wine regions? When people travel thru a new area it is so important to take many pictures and many notes. When you complete a wonderful trip those pictures remind you of those fabulous memories. In Italy it is important to know what grapes grow best in that area. Some wines are blended and some are not. The interaction of the grape blends and the pairing with the regional foods enhance the regional cuisine. 4. Texas is not the first place people think of for wine, but from reading your blog, it appears to have played a huge role in the industry. What should we know about the history, wines and wine tourism in the Lone Star State? Texas wine began in 1640 when the Spaniards established missions and planted grapes. In 1977 Messina Hof was part of a great experiment planting 50 varietals in 13 locations throughout Texas. There were 3 wineries in 1977, now we have 250 wineries in Texas. Texas is 5th in wine production in the USA. Messina Hof is distributed in Texas and 8 other states. We produce 100,000 cases. 5. 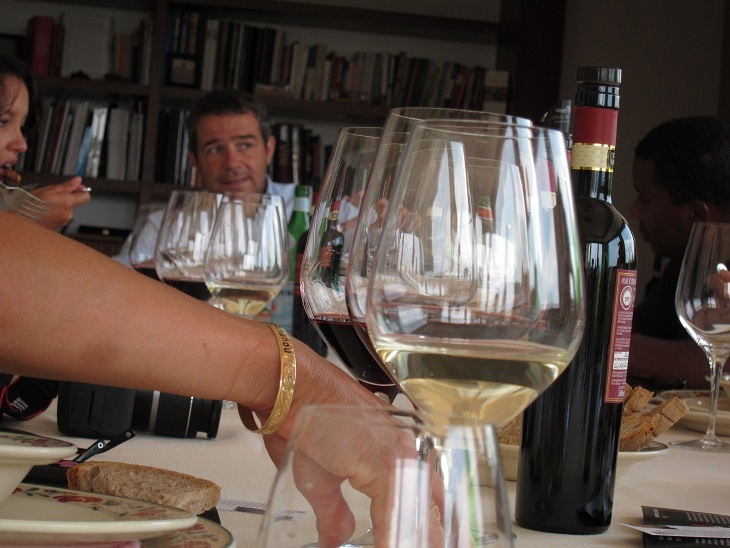 Which Italian wines do you hope to see in the Jane Hunt MW Grand Wine Tasting Wines of Italy? In Jane Hunt’s wine tasting, I am looking forward to new grape varietals, new techniques and new blends. 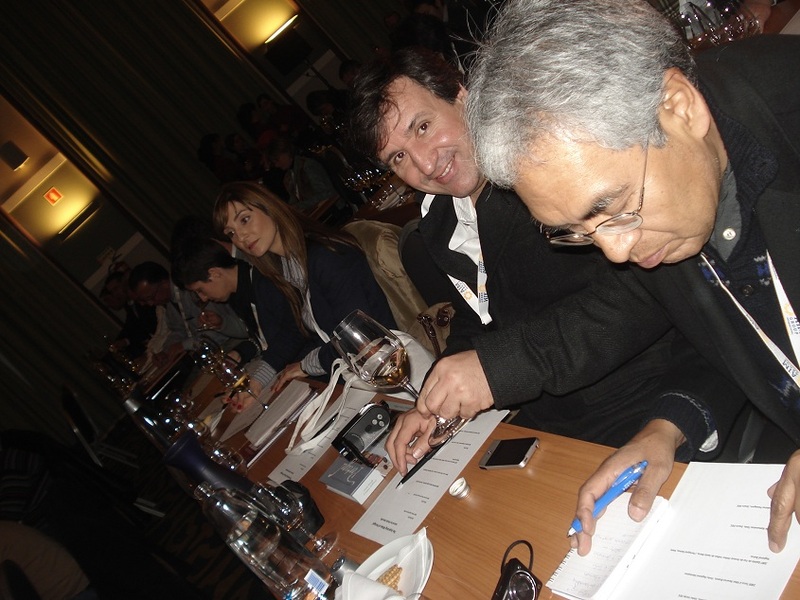 Join the 2012 International Wine and Tourism Conference this January in Italy and network with Paul, Merrill and 2-300 more attendees. Watch out WINEormous is coming to #Italy! Wine is something that is uniquely special to everyone who consumes it. For Tom Plant, wine has become something more than just a hobby. Originally a realtor, Tom Plant has turned to his other passion of wine and he, along with his wife, Laura, created the website WINEormous to share their love with others. Through WINEormous, Tom’s experiences in the wine region of Temecula, CA gave him the background to start his own wine tour company through the Valley. His excitement for the area and for the wine there is evident with his honest, no-nonsense way of writing about his experiences and his desire to share the region with anyone who is interested. In anticipation of Tom’s presentation at the upcoming International wine Tourism Conference in Italy, we talked to Mr. WINEormous about his thoughts on Temecula, experience with wine tourism and what he hopes to bring back home from Italy. 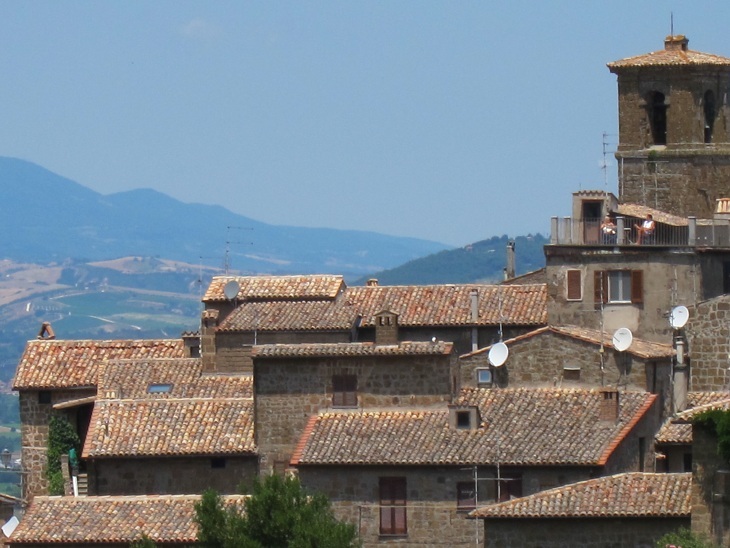 I think Umbria is an exciting destination choice. Italy has a long and storied history of wine making and the food and wine pairing is hard to beat. As your blog is dedicated to touring and tasting in Temecula wine country and beyond, what have you learned that could be useful to people in other wine regions? Do all you can to get to know the people in your local wine industry. Most of them have fascinating stories to tell. From your blog we see you have visited wineries across the United States as well as Nova Scotia and France, which one(s) do you think cater to tourism the best? I think Paso Robles, California does an outstanding job of promoting its region. Their wine country alliance does a tremendous job of organizing and promoting events and there is a true sense of regional identity. The vast majority of wineries there go out of their way to make you feel welcome and invite you to return. What do you hope to learn in Italy that you can bring back to Temecula? It’s always fascinating to see how things are done in different cultures. We grow a few Italian varietals here. I want to see what foods pair the best with them and share it with my readers and the wine makers/restaurateurs here. 5) Which Italian wines do you hope to see in the Jane Hunt MW Grand Wine Tasting Wines of Italy? I don’t have a huge education in Italian wines, but I would hope to see Barolo, Nero D’Avola, Amarone, Sassacaia and Ornelaia. Come join the International Wine Tourism Conference and have a chance to speak more with Tom as well as over 300 other wine professionals. Marcy Gordon of the wine and travel blog, Come for the Wine, spent years exploring the world as a travel writer and marketing professional. In addition to her published travel works, the self-proclaimed reader, writer, eater and traveler, shares her experiences with wine and cultures around the world. A returning speaker at the 2012 International Wine Tourism Conference in Italy and a member of the Blogger/Media Fam Trip, we asked her about her favorite memories from the conference last year, what advice she has for fellow wine travelers, and what she hopes to learn this year. 1. Welcome back! 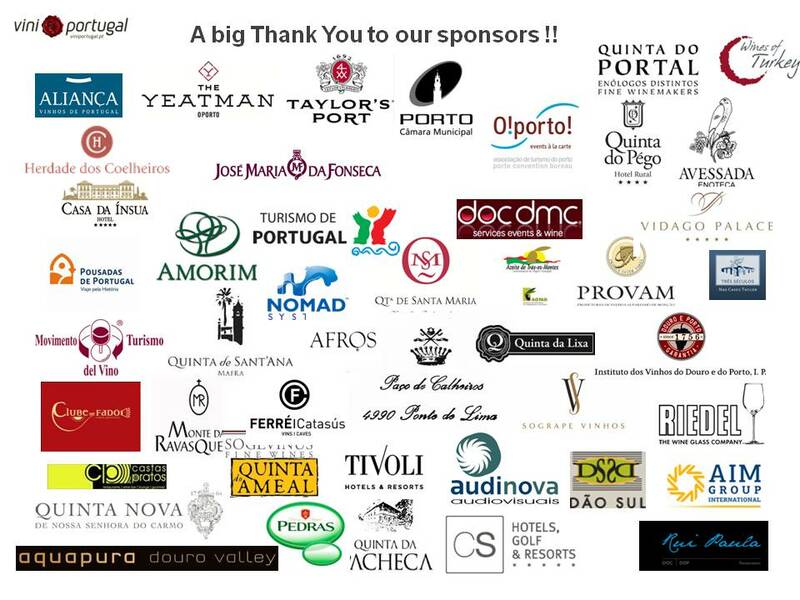 Having been a part of the 2011 conference, what are some of your favorite memories from Portugal, and what are you most looking forward to this year? The entire Portugal trip was exceptional, but the best memory is celebrating my birthday on the Douro with great new friends and a few wonderful old Ports. Plus the folks at Quinta do Pego made me a birthday cake that was amazing and quite a surprise. 2. The 2012 Wine Conference takes place in Perugia, Italy, how do you view Umbria as a wine destination? Umbria has incredible wine regions that are finally getting the attention they deserve. Also Umbria is a perfect place to discover many regional foods and, of course, the wonderful olive oil. 3. You have spent most of your life on the tourism and travel side of things, how did you get into wine and what is it about wine that excites you most? My background is in consumer marketing and I worked positioning start-ups including Travelocity and OpenTable. My love of travel and writing led me to work in publishing and I was co-editor of the Authentic Italy guidebook series for the Touring Club of Italy. I started a wine blog three years ago to learn more about wine and share my travel experiences in different wine regions. In my view, wine is the very essence of a place, it’s truly travel in a bottle. The first place I go when I travel somewhere new is the wine areas of the region. 4. Having traveled all over the world and explored many of its wine regions, what advice do you have for fellow traveling wine lovers? Take the time to linger in the vineyards and really get a feeling for the landscape. It’s what makes each region unique. Also avoid wearing white shirts, dark colors are best when wine tasting and leave room in your bag to bring home wine! I am a fan of Umbrian Sagrantinos and Merlots, so would be nice to see some of those. Also hope to see some varietals from lesser known regions. On Monday evening, January 30th Jane will present an hour and half long tasting on Italian wine within the context of the International Wine Tourism Conference. Her aim is both educate on the myriad styles of Italian wine and its intricate relationship with Italian wine tourism. As Italy is still an undiscovered jewel for many wine tourists, Jane will do her very best to enlighten us as to the wide range of wines and destinations within Italy. In July 2011, Jane Hunt completed 34 years working in the UK wine trade. A serendipitous introduction to wine occurred in 1974 when she was employed as an ‘English-speaking’ assistant by Cantine Lungarotti in Torgiano, Umbria in Italy – a role she occupied for some 2 years. (She lived in Perugia, Italy from January 1973 – April 1976). An opportunity to develop a future in the wine trade occurred in July 1977 when she joined the PR Department of John Harvey & Sons Ltd in Bristol giving guided tours of the Harvey’s Wine Museum and tutoring sherry tastings. During this period, Jane Hunt studied her way through all the WSET examinations from Certificate to Diploma gaining the Madeira Shippers’ Scholarship for 1981. An internal move to the Wine Department within Harvey’s offered greater opportunities to learn about wine. The Vintners’ Company Scholarship was awarded to JH in 1981, which permitted three months travel and study in France and Germany. In 1982, JH took on a role as retail buyer for Annabel’s Wine Cellars. This developed into a position as buyer for the group of four André Simon shops in central London. JH achieved a pass in the Master of Wine examination in 1985. Nine months of world travel ensued including a period of employment in Australia with Brown Brothers in Victoria. JH continued to work for Brown Brothers via their agents in the UK, Walter Siegel & Co. Ltd on her return. From 1987 – 1991, JH was employed as Sales & Marketing Director for Paul Boutinot Wines. This period saw the company though a period of significant growth. From 1992 – 1995, JH operated on a ‘freelance’ basis during which time she wrote a monthly column for House and Garden, co-ordinated and lectured wine courses for Leith’s School of Food and Wine, wrote copy for wine lists, leaflets etc. for Sainsbury’s, Bottoms Up and Wine Rack, supplied purchasing strategy plans for Wine Cellar, lectured for Christies Wine Courses, acted as wine guide for Arblaster and Clarke Wine Tours – amongst many other activities. In 1995 JH set up and ran ‘Wines of South Africa’, the inaugural UK based generic promotional body for South African wines after the historic transition of power to the ANC and the subsequent election of Nelson Mandela to President. Her assistant during this time, Tina Coady, is now her business partner in Hunt & Coady. During a two-year career break 1999 – 2001 she completed a Higher National Diploma in Horticulture and Crop Technology. Since 2001, she operates ‘Hunt & Coady Ltd’ in a 50/50 arrangement with her business partner, Tina Coady, where activities are concentrated on organising wine trade tastings and events. H & C has worked variously with Chile, Argentina, France and Italy (Alto Adige Wine Promotion & Gambero Rosso) in this respect in recent years and continues to work in greater measure with Italy and Argentina at present. In 2010, H & C worked for the first time with Slovenia. H & C own and run the annual ‘Definitive Italian Wine Tasting’ (13th year in 2011) and ‘France Under One Roof’ (10th year in 2011) tastings in London. JH is a Regional Chairman for Italy (Tuscany Panel) for the Decanter World Wine Awards and, when time permits, escorts wine tours to Italy for Arblaster & Clarke Wine Tours. The 4th Annual International Wine Tourism Conference & Workshop 2012 Italy jointly organized by Wine Pleasures and the Movimento Turismo del Vino, with the support of several public and private entities is a professional get together of a large number of wine and travel professionals from around the world to share, discuss, reflect on and develop their ideas and at the same time foster wine tourism worldwide. Dates are 30th Jan – 2nd Feb. The event will be held in the beautifully preserved medieval town of Perugia located in Italy’s green heart – Umbria. The Wine & Jazz themed Hotel Giò will be the venue for the Conference talk prog. The conference format will include themed sessions, interactive workshops, panel discussions and special interest symposiums. The conference programme will also provide excellent networking opportunities as well as a chance for wine and travel professionals to get acquainted with the latest in wine, food, travel and services at a large resources exhibition. If you would like to submit a talk to be included in the Conference programme please complete the Speaker Proposal Form. Deadline to receive proposals is 30 September 2011. 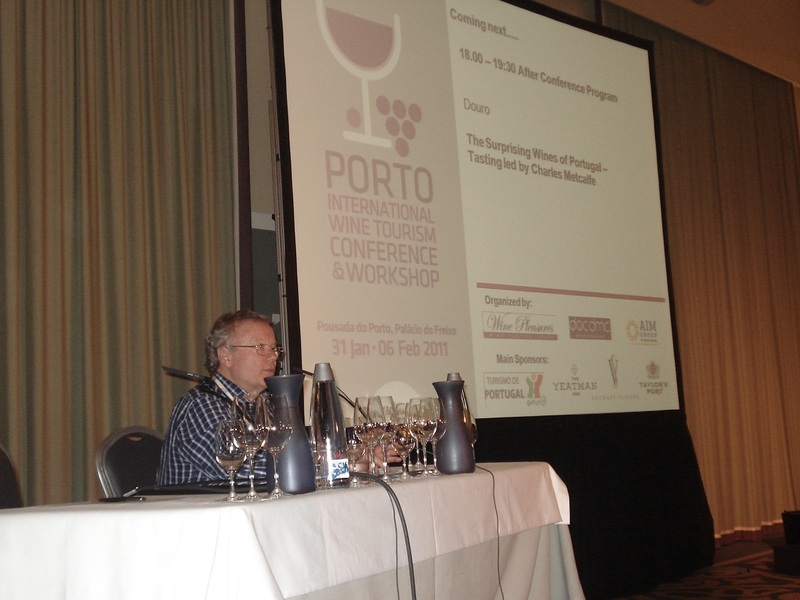 As every year, the conference will provide superb education, socializing, relaxation, fun and loads of wine to taste. We are looking forward to seeing you all again. Registration is now open and we strongly recommend that the delegates register early and take advantage of the early bird registration – offer ends 30th June!. To register please complete a Registration Form. 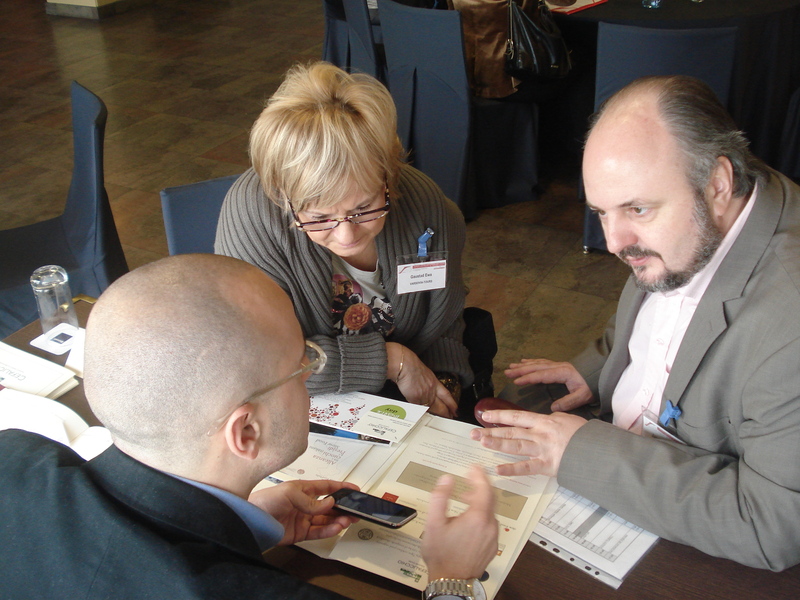 The Workshop is a unique event which enables wine tourism experience providers to meet international tour operators and travel agents specialized in wine and culinary tourism in a business meeting format. Providers and Agentsvalue the workshop as it is the only international event which specializes in the buying and selling of wine tourism products in a one stop cost effective setting. Adeus Portugal! Ciao Italia! from Wine Pleasures on Vimeo.